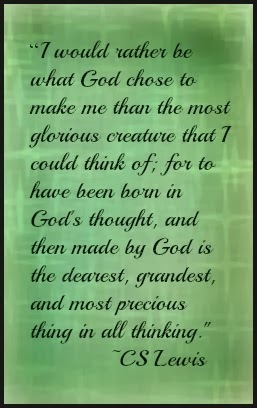 Dearest, grandest, and most precious thing...love that! That is SUCH an awesome quote. Good job, C.S. Lewis. :) And thanks for sharing, Susan! I know, right? He was one pretty smart guy. Love all his sound bites! C S Lewis is amazing. Thanks for sharing.